Just so you know, I do own alot of makeup and this isn't anything. I wish i could fit everything on my desk but unfortunately i have a full train case of other goodies that is under the desk. I bought those large train cases with two pieces. 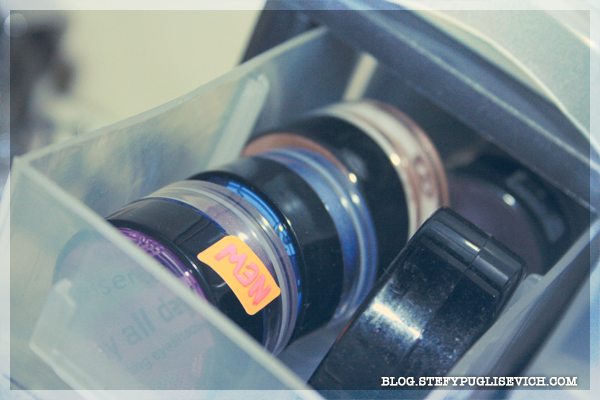 The top is used for my kit and the bottom park is where i store all my other makeup which haven't found a home yet. Let's face it, we all love makeup? we all buy anything fancy and ultra cute! I have noticed i have things i have forgotten about. 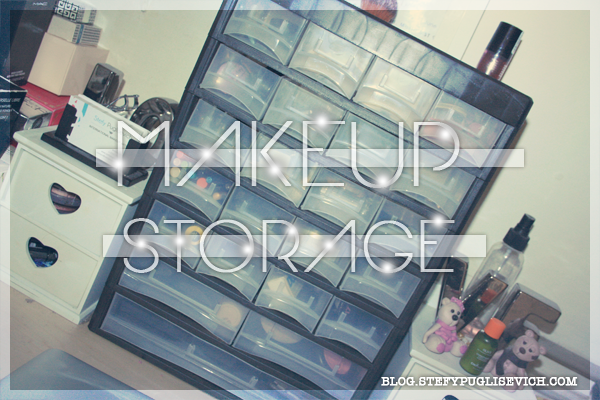 I Got this new addition storage unit for a better view of my makeup and easy access. I have to thank the lovely Lorraine from Lola Loves Sparkles who had written about how she stores her Jewelry using a similar storage. 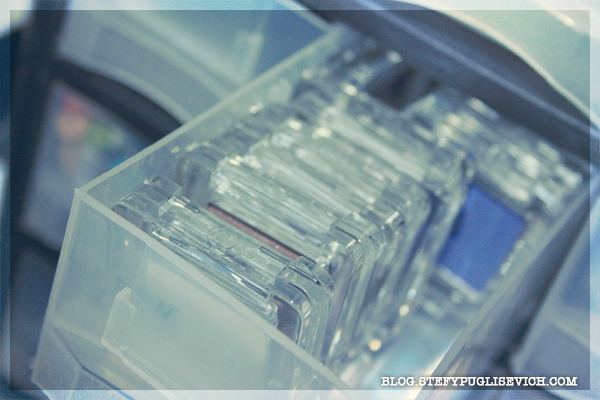 The compartments are long and spacious, you get 20 small compartments, 2 medium and 1 large. I took a couple of photos of what is inside a couple of them. The white drawers on either side are bigger and wider and i have mainly mascara's and pencils on the left hand side and on the right it's lips like glosses and lipsticks. I have a plastic container with products i am currently testing out and you can see a stack of LUSH products that i love. Palettes are bulky and sadly only my concealer and MAC palette and a couple of tiny palettes fitted in the new storage so the others are in that plastic folder on the left. 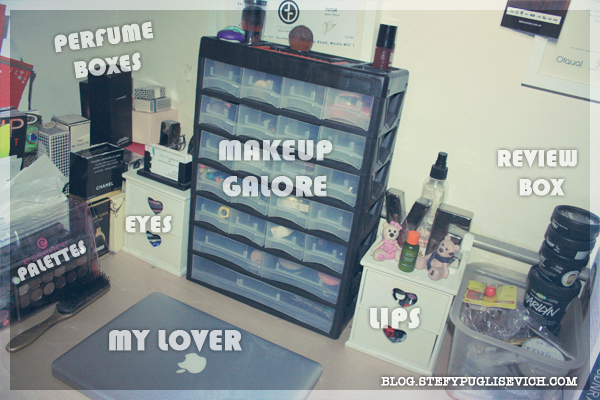 The boxes on the far left are Perfume boxes, MAC brush cleaners and other powders that i like to keep on my desk. 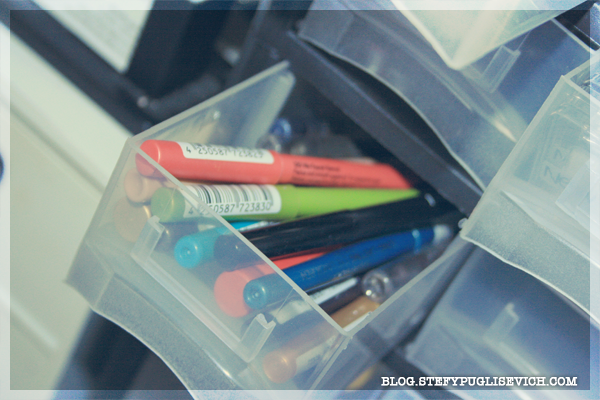 and I love how you organize all of it..
And yours turned out to be excellent for storing makeup too! 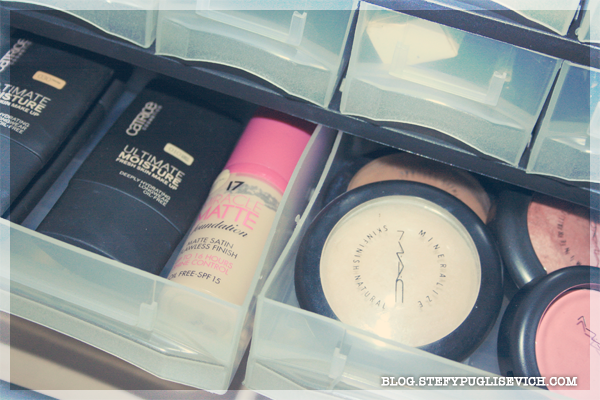 Great way to store make-up. Can I ask where you bought the compartments thingy please?